Please note:This product comes without a 40v battery and charger. These must be purchased separately and can be found in the Pressure Washer section of this website. 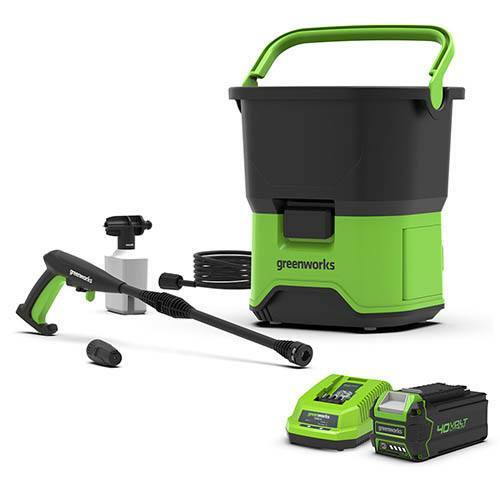 This amazing, convenient and versatile cordless pressure washer from Greenworks is perfect for cleaning where there is no power source. It is ideal for cleaning your bike, pram, caravan, car, patio and driveway, indeed any areas around the home outside the reach of the hose and power. This product is delivered by a third party supplier. An email address and telephone number is required at the point of ordering so that delivery can be arranged.